For Sebastian Thornton is no stripling to be trifled with. The lady has played her hand. Now it’s his turn. For Sebastian is in need of a wife. And to find a wife with spirit and fire—even if she means to only marry for his money—would be a great prize indeed. And he intends to thoroughly take his pleasure with her... and demand his own satisfaction in return. When lady Jocelyn stormed the house of a Duke with a derringer I know I was going to love her. 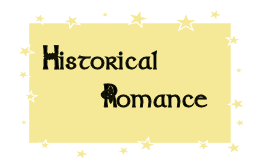 She is probably one of most "modern" historical romance leading ladies I've seen. Not afraid to speak her mind and demand what she wants - she's sometimes surprised to find out she just may get it. Sebastion, the Duke of Calydon, is fascinated with the angry and passionate woman holding a gun on him. So different than the meek little flowers of the ton, he is instantly captivated. 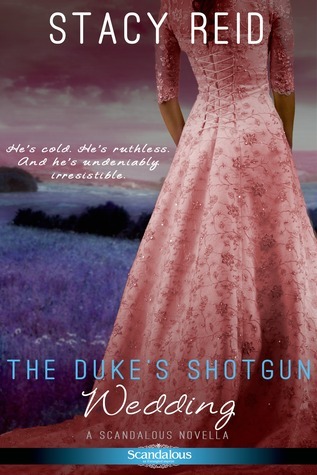 What starts as a very strained and confrontational relationship quickly escalates into one with mutual respect, but with the Duke not willing to share the reasons for some of his decisions, it may just all fall apart around them both. This was a great romance with a lot of fire and passion in both characters. (But Jocelyn really made the book click for me). I am an avid reader of novels with a deep passion for writing. I especially love romance and adore writing about people falling in love. I live a lot in the worlds I create and I actively speak to my characters (out loud). I have a warrior way “never give up on my dream.” When I am not writing, I spend a copious amount of time drooling over Rick Grimes from Walking Dead, watching Japanese anime and playing video games with my love– Dusean Nelson. When a beautiful stranger ducks into his bookshop during a rainstorm, Cale Cameron, well-known rake, is instantly attracted to her. Elizabeth, Lady Thornhill, is restless and hungers for something she cannot name. Society would never accept a countess and a mere bookseller, so they agree to a one week affair to indulge their desire. As their passion ignites and their connection grows, Elizabeth threatens the one thing Cale has protected above all else—his heart. Letting her go is the only solution…and the one thing he is not prepared to do. Lady Thornhill is a widow from a loveless marraige. She enjoys finally being free to be herself and do as she likes. She has no intention of falling for the notorious rake, Cale Cameron, when she stumbles into his store one there is an obvious attraction. While Elizabeth is determined to not fall prey to his wicked ways - she may end up in his arms anyways. Cale has no interest in a lasting relationship, he's more of a love them and leave them type. But Elizabeth has managed to wiggle her way into a part of him he thought was dead. While this was a very cute read, the characters just didn't have the impact I've seen in other books. The storyline is sweet - who can resist a love conquers all attitude? Congrats to Lily Maxton and Stacy Reid on the release of their books. I don't think that I have read anything from Entangled Publishing.